Access Health Care Physicians, LLC, announces the appointment of Janice Rodriguez, MD, WCC, CWS, FACCWS, to its medical staff. She sees patients at the practice of Jude A. Pierre, 5290 Applegate Drive, Spring Hill, Florida 34606. Call 352-686-3101 to schedule an appointment. 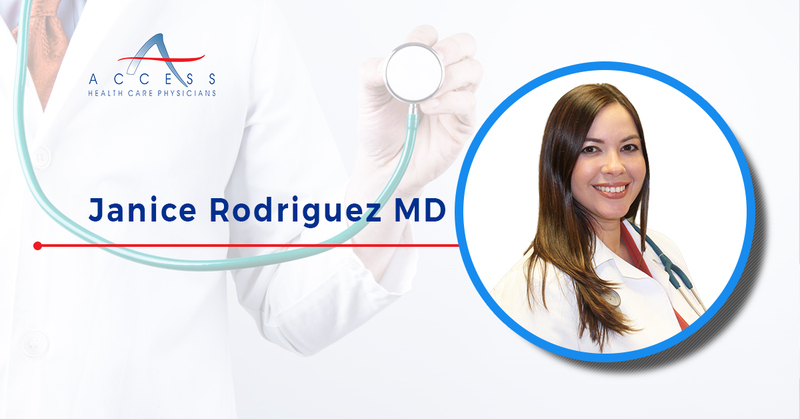 Dr. Rodriguez comes to the Tampa Bay area and Access Health Care from Puerto Rico where for the last decade she has earned extensive experience in the areas of wound care. She is a Certified Wound Specialist (CWS) by the American Board of Wound Management, Wound Care Certified (WCC) by the National Alliance of Wound Care, and a Fellow of the American College of Clinical Wound Specialists (FACCWS). Dr. Rodriguez received her medical degree from the Universidad Autonoma of Guadalajara in Jalisco, Mexico. She completed an internship at the Metropolitan Hospital in San German, Puerto Rico. She is a member of the American College of Hyperbaric Medicine and the American College of Clinical Wound Specialists.